In September 2008, the Society of Nuclear Medicine and Molecular Imaging created the Nuclear Medicine Clinical Trial Group, LLC to assist sponsors in effectively incorporating molecular imaging agents in multicenter trials. 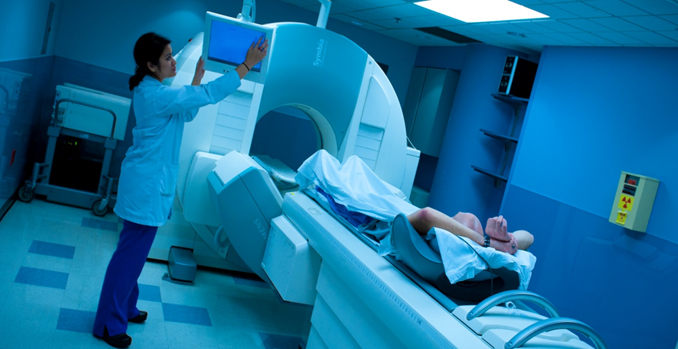 NMCTG aims to ensure that high-quality imaging is conducted to support drug or diagnostic clinical studies by offering a variety of proven tools developed by the Clinical Trials Network. Support for the development of this educational presentation generously provided by the Margie & Robert E. Petersen Foundation. Disclaimer: The above course and any material it contains, including but not limited to texts, data, graphics, pictures, sounds, videos, logos, icons and html-code, are protected. Any other use in any form and by any means (such as but not limited to reproduction, distribution, sales, publication, modification, translation, use for commercial purposes) of the content of the course is prohibited without prior written consent of University of Iowa and NMCTG, LLC. The NMCTG was awarded a grant for the clinical management of two international, multi-center, academic trials in prostate cancer imaging from Movember (Australia). Both studies are using the Keosys Imagys platform housed at the SNMMI home offices (Reston, Va) for image uploads. Electronic Case Report Forms (CRFs) have been developed for both studies and uploaded into Imagys for clinical trial data reporting and management. The NMCTG is using the Clinical Trials Network’s unique oncology chest phantom to perform annual scanner validations on all study PET/CT scanners in both studies. Both PET and MRI image review and analysis are conducted locally, with completed reports being sent to Movember for final analysis. Duration for both studies is two years. Upon completion of all image review and data collection, a final report will be prepared and submitted for publication in peer-reviewed journals.